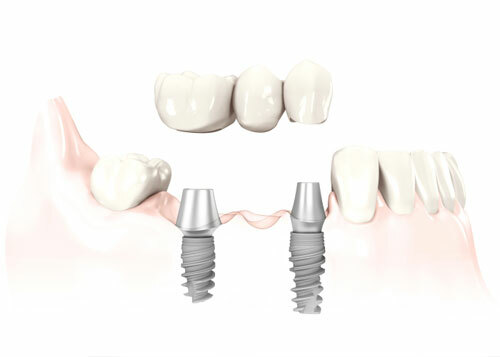 If you are missing several teeth, we can either replace each one with an individual implant as in single tooth replacement, or fabricate an implant-supported bridge to replace them in cases where it is not practical to place an individual implant for each missing tooth. replace missing teeth without attaching to or damaging neighboring natural teeth. Maintain and preserve bone. Dental implants attach to and stimulate your jawbone which helps to keep it healthy and prevent resorption.